Today Yatzie joined the hunting training in Noorderpark for the first time. 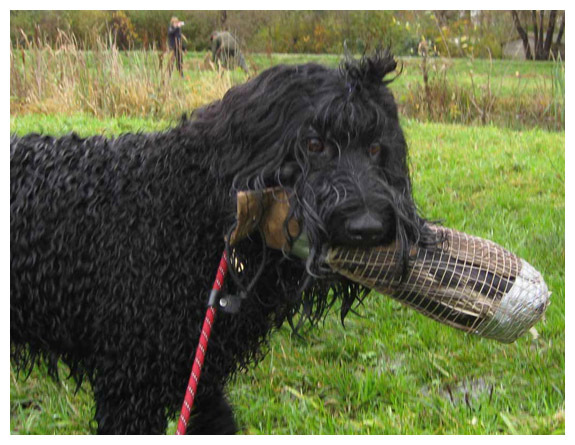 This is a more advanced hunting training than the one in Almere that we also attend, and here real birds are used in the retrieving. I myself have struggled with the idea of real animals, but have decided to let go of that moralistic viewpoint and give my dog the joy of experiencing what is in her genes - the retrieving of birds. The trainer, Richard Bosch, was impressed with Yatzies performance, and someone commented - she did better than the rest of the dogs! The training started with some obedience exercises, walking in a circle, stop, sit, serpentine between the other dogs and not be distracted. I used my clicker a lot and Yatzie did well. She has a good basic obedience and with the clicker she is always alert. We were then asked to play and have fun with our dogs and as we did that three shots were fired 20 meters from where we were. I was worried she would react, since I have not trained her with shooting before, she noticed the shots, but did not get nervous about it.